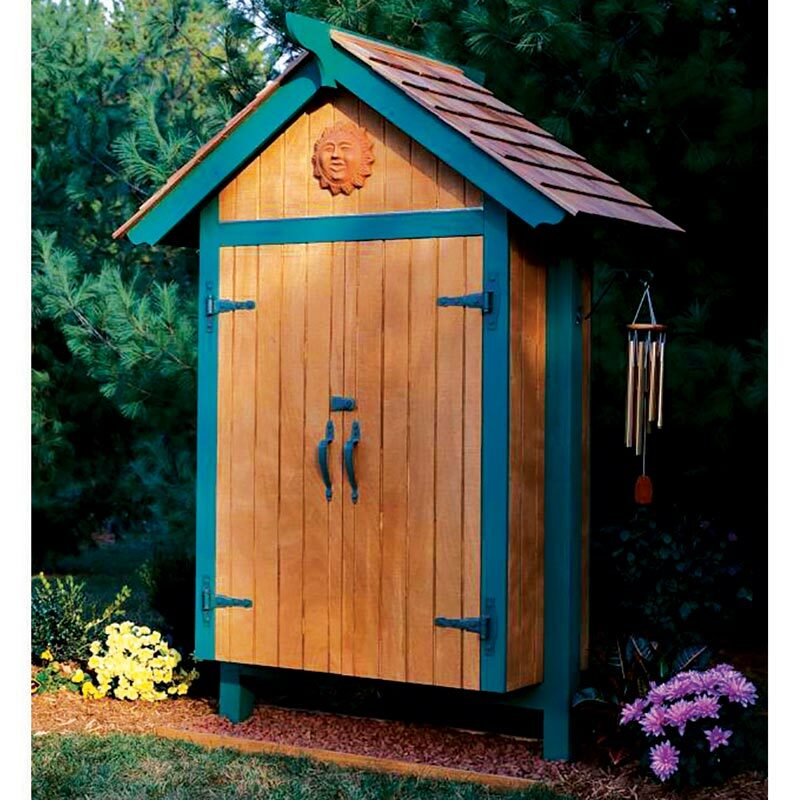 Store shovels, rakes, grass seed, and other yard care items in this charming outdoor structure. 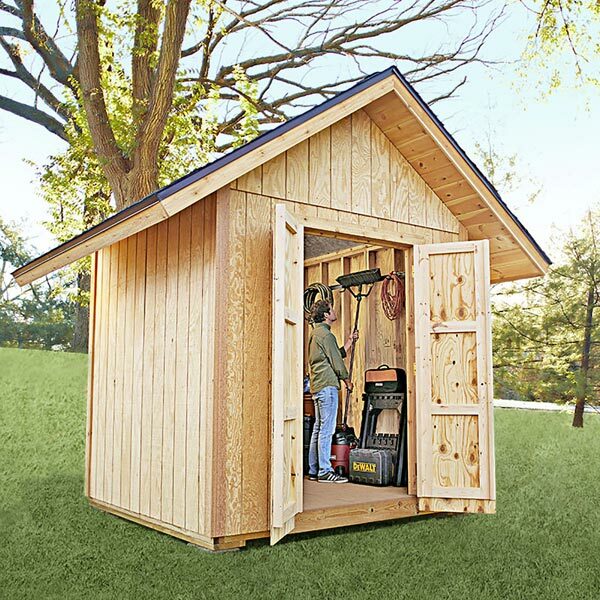 There's no denying how useful backyard sheds are for organizing yard tools and outdoor supplies. But they require spare real estate not every yard has, and can't always be placed where the storage is needed most'next to a garden or flower-bed area. This post-mounted "mini" shed solves both problems with style and storage to spare. Measures 44" wide by 81" tall.